It's been a yummy year! 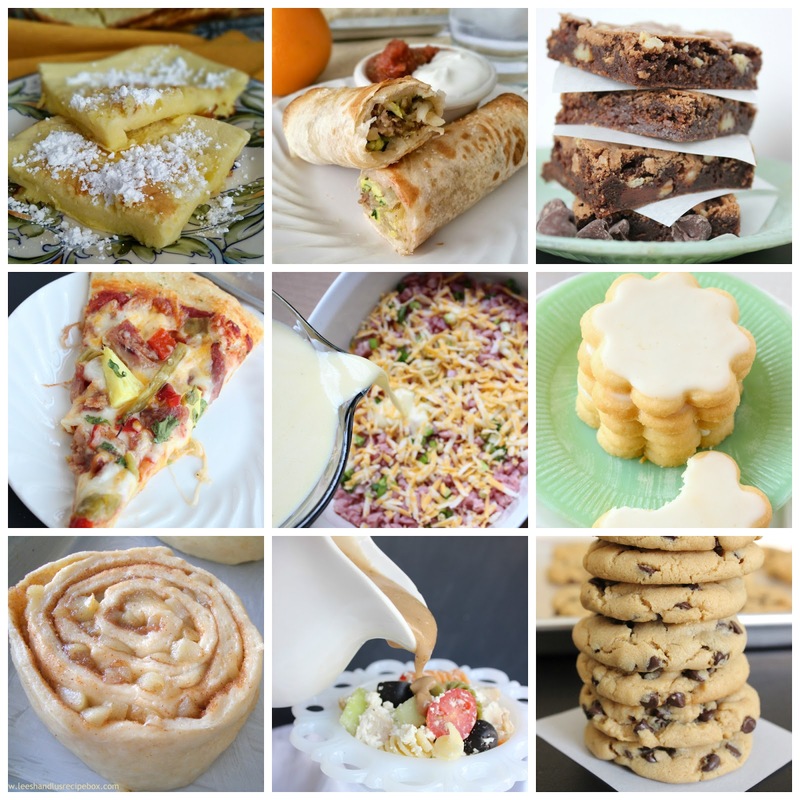 Not all of these recipes were new to our blog in 2015, but most of them were. Thanks for reading and cooking along with us. Your comments on the blog and our social media sites are fun for us to receive. We look forward to a New Year and some new yummy recipes coming your way! Starting from the top and moving from left to right here are this years favorite recipes based on the most viewed each month. 1. German Pancakes - Lu's Family's New Year's Day breakfast tradition. 2. Baked Breakfast Taquitos - These went crazy all throughout the year - we love them as much as you do. 3. Double Chocolate Brownies - I'm glad that some chocolate was included in the favorites this year. 4. Spicy Hawaiian Pizza - mmmm, one of my top 3 favorite pizza combos. 6. Lemon Shortbread Cookies - these also went crazy throughout the year, with lots of page views coming in mostly in the spring and Christmas season. 7. Carmel Apple Cinnamon Rolls - from Oct 2014 - these are still a fall favorite for all! 8. Creamy Balsamic Parmesan Dressing - a real favorite in the summer time, especially over this pasta salad. 9. Thick and Chewy Peanut Butter Chocolate Chip Cookies - I posted these back in June 2014 - they continue to rage in the page views. These bad boys are so soft and tender, they melt in your mouth. We left them out for Santa this year. Santa was feeling pretty lucky! After reviewing all those recipes, I'm ready to eat again! Happy New Year! Thanks for supporting us on our recipe sharing adventure!